First it was net metering that made rooftop solar systems appealing for home owners. Those solar panels would feed excess electricity back into the grid, generating cash for homeowners. The idea of paying people to generate electricity makes utility executives’ heads explode. It wasn’t long before they won concessions from public utility commissions that limited how much the companies had to pay customers and added monthly surcharges based on the notion that residential PV owners don’t pay their fair share to help maintain the grid. Thanks to those regressive policies, more and more homeowners are opting to take control of their own solar power by capturing it in residential storage batteries and using it to power their homes later in the day. The ability to make electricity now and consume it later means utilities get to sell less electricity, but they never considered that aspect when they launched their assault on rooftop solar. 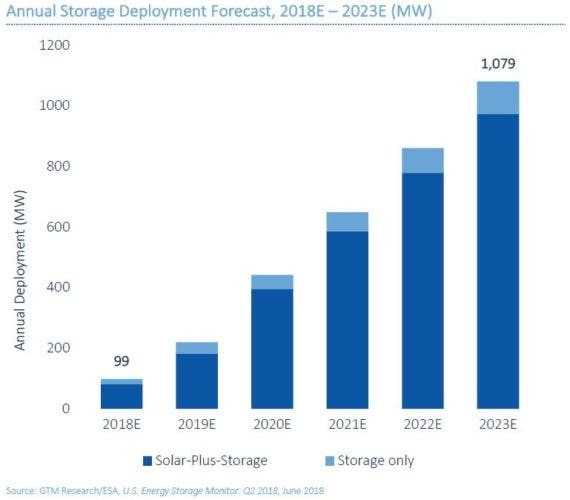 The latest study from GTM Research predicts that in five years, 90% of residential solar systems will include battery storage, according to a report in PV Magazine. 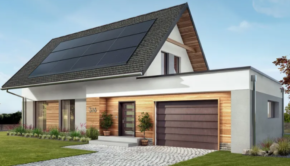 The three largest residential solar companies — SunRun, Sunnova, and Tesla — are all making solar and storage a mainstay of their business models. There’s more good news from GTM. In its most recent industry analysis, it goes on to predict the cost of residential solar will continue to drop from $2.95 per watt to $2.00 per watt by 2023 — a decrease of nearly a third from today’s prices. GTM estimates that 15.9 MW and 39.8 MWh of behind the meter residential energy storage was installed in the first quarter of this year. If that ratio remains the same through 2023, that would translate into 1079 MW of residential energy storage installed for a total of 2.7 GWh of energy available. 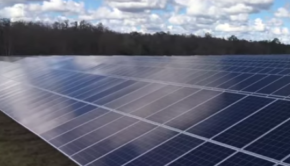 Projections are one thing, but as Tina Casey tells us, solar is now unstoppable. By 2023, those projections by GTM could turn out to be very conservative as the clean energy revolution continues to gain momentum.